The seminar lineup for the 2017 Farwest Show includes retail gurus, marketing and business development professionals, horticulture researchers and innovators, and top-tier pesticide and biological control experts. 2017 Farwest Show speaker Alex Traven of Peace Tree Farm will talk about the common processes and pitfalls nurseries face when moving from conventional to sustainable practices. Whether it’s your first time to Farwest or you’re a longtime attendee, taking part in the biggest green industry trade show in the West is an educational experience beyond compare. To maximize your learning opportunities, you’ll want to sign up for the Farwest All Education Pass — it’s your ticket to the latest in trends, business practices, and disease and pest solutions. You can also register for a Pesticide Class Pass or Seminar Pass, which are affordable, comprehensive and offer the flexibility to attend the sessions best suited for your professional development and your business’s success. Either way, you won’t want to miss the Farwest Keynote Address featuring Terri McEnaney, president of Bailey Nurseries. She will share her perspective on “Connections: Cultivating Your Company and Your Professional Life.” All exhibitors and attendees are invited to this free presentation, included with the Trade Show Pass, taking place at 11 a.m. — an hour before the show floor officially opens — on Wednesday, August 23 at the Oregon Convention Center. This year’s seminar lineup includes retail gurus, marketing and business development professionals, horticulture researchers and innovators, and top-tier pesticide and biological control experts. Jim Monroe of Hort Couture Plants and Greenbrier Nurseries will encourage ways to extend the garden center season and support the local food economy by hosting farmer’s markets and promoting community-supported agriculture. Garden communicator Brie Arthur will share her passion for ecology and permaculture principles in an enhanced session about the environmentalism behind the “foodscape revolution,” the hot trend of landscaping with edible plants. Jeff Lowenfels, author of the “Teaming” series of books on organic growing, will discuss the latest techniques. For instance, he’ll explain why using mycorrhizal fungi is best for plant health — you need to learn about this! 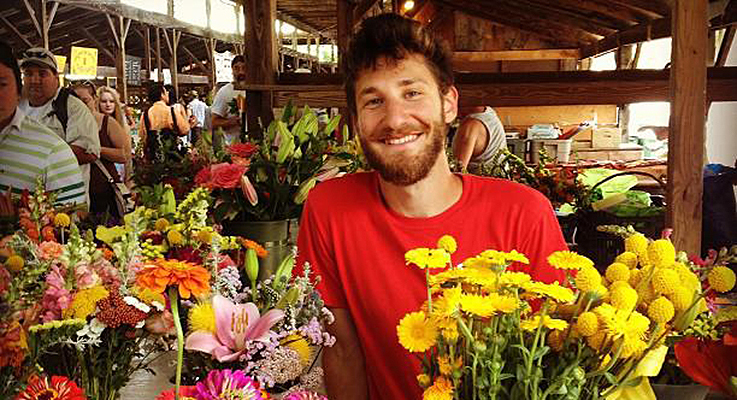 Alex Traven of Peace Tree Farm will look at the common processes and pitfalls nurseries face when moving from conventional to sustainable practices. Leslie Halleck of Halleck Horticultural LLC has combined her professional horticulture background with marketing to deliver results for her clients. She will explain how to establish digital relevance and how to target the best, most reliable customers for your horticulture business. Tom Shay of Profits Plus Solutions will share his business development expertise to reduce common retail pitfalls, like holding on to dead inventory and avoiding lull spots in your store layout. Leadership coach Rita Perea will discuss how mindfulness extends through your company culture and between generations, and how it informs your professional resilience when making changes to your professional path. Gary Lewis of Phoenix Perennials will talk about the latest plants to drive traffic to your garden center. Plantsman Dan Hinkley of Heronswood Garden and The Gardens of Windcliff will give a presentation on underutilized plants that match our Pacific Northwest garden conditions. He will be joined by Portland’s own Sean Hogan of Cistus Design Nursery and Darcy Daniels of eGardengo.com, who will offer information on distilling your plant palette for retail and design projects. Farwest seminars will spotlight new plant development in every plant category, including research on shrubs from Ryan Contreras, assistant professor of ornamental plant breeding at Oregon State University, and Kim Shearer of Morton Arboretum, who will discuss innovations in arboriculture. Chuck Pavlich of Terra Nova Nurseries will also immerse you in the ways breeding trends are changing the demand and market for North American perennials. Farwest’s new show schedule takes place Wednesday through Friday, August 23–25. The new Friday Half Day Pass offers a greater savings than previously available. Friday morning’s sessions offer variety with an extra emphasis on landscaping principles. It’s the perfect way for busy landscape professionals to end their work-week with some inspirational instruction and a break from the August heat. Kelly Mathison of Legacy Landscapes will explain the trial-and-error process that created a highly profitable landscaping business, even in the midst of the Great Recession. Ladd Smith of In Harmony Sustainable Landscapes will discuss the field-tested-and-proven results in sustainable landscaping products. Discover why plant biodiversity is so critical to your projects’ success from Rick Martinson of Wintercreek Restoration. Industry experts including Paul Koole of Biobest USA and Suzanne Wainwright-Evans of Buglady Consulting will inform you about the latest solutions in biological controls. In the chemical realm, Dr. Raymond Cloyd of Kansas State University and Carlos Bográn, Ph.D of OHP will shed light on pesticide treatments and how to integrate the program you need to produce the healthiest plant material. Farwest’s Pesticide Pass will give your staff the valuable resources to combat pest and disease pitfalls. Some classes will be taught exclusively in Spanish, and morning pesticide classes will offer translation headphones for Spanish speakers. At least two sessions each day qualify for Pesticide Applicator Recertification Credits.